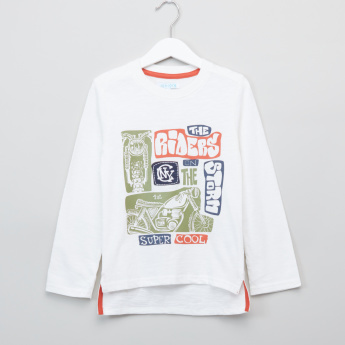 Add to your child's delight by gifting him this trendy t-shirt. 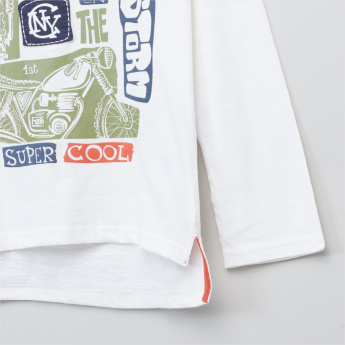 Featuring a high low hem with graphic print, this t-shirt is sure to level up his charming looks. 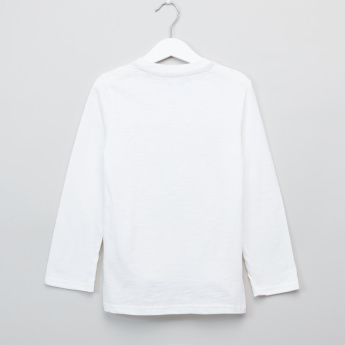 The long sleeves will give his hands a snug fit.